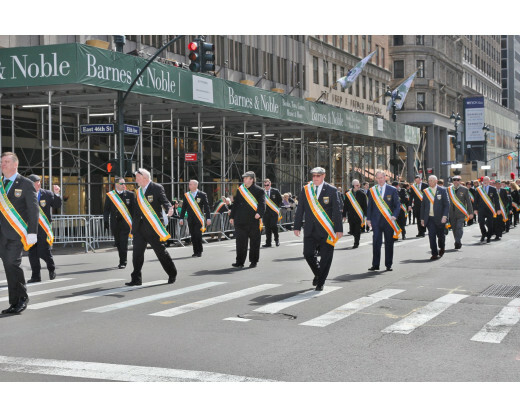 Irish Parade Sashes for St. Patricks Day Parades - Custom Sashes and More! 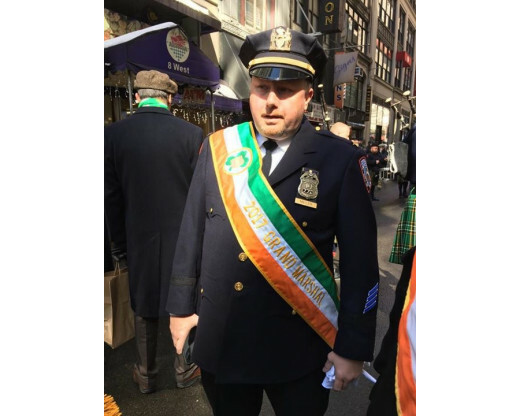 Custom St. Patrick's Day Parade sashes are also available. 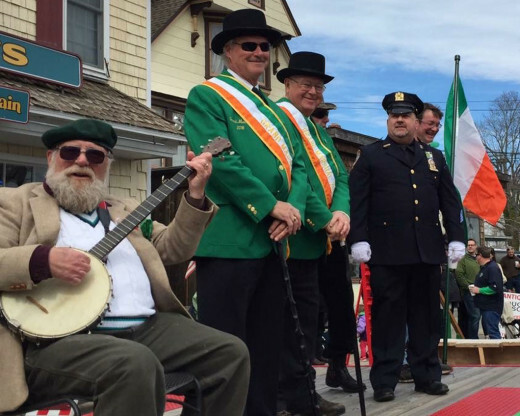 Interested in ordering St. Patrick's Day sashes for an upcoming parade or event? Have questions about our Irish parade sashes? Call 1-888-697-3524, contact us online or submit a quote request. Please note: Many sash orders ship in 3-5 business days but not all messages are in stock at all times. If your order needs to be produced, it may take up to 15 business days. 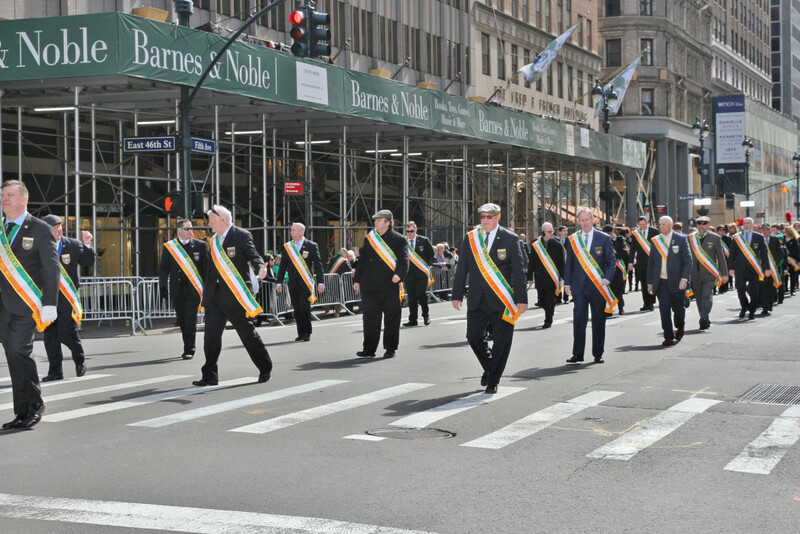 Please include the date that you need your parade sashes delivered, in the notes of your order. Rush orders are typically available but please call for lead times and shipping options. 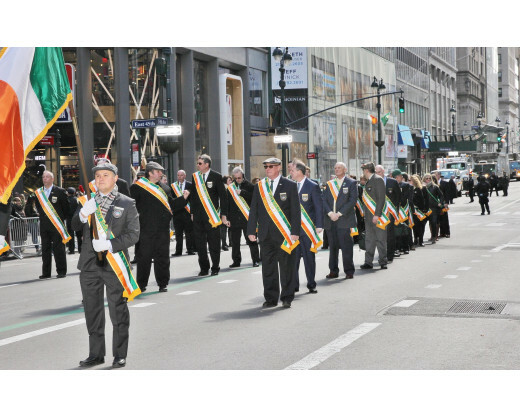 Parade sashes are made from durable 200 denier outdoor nylon and are lined for opacity. Velcro allows anyone to put them on easily and holds them secure at your hip. 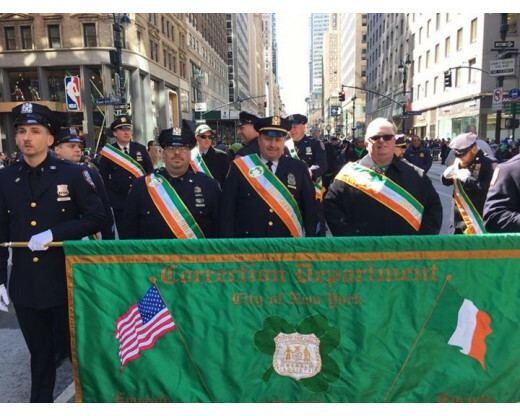 Most parade sashes, including our St. Patrick's Day sashes, are decorated with gold ribbon edges & gold fringe on the ends. 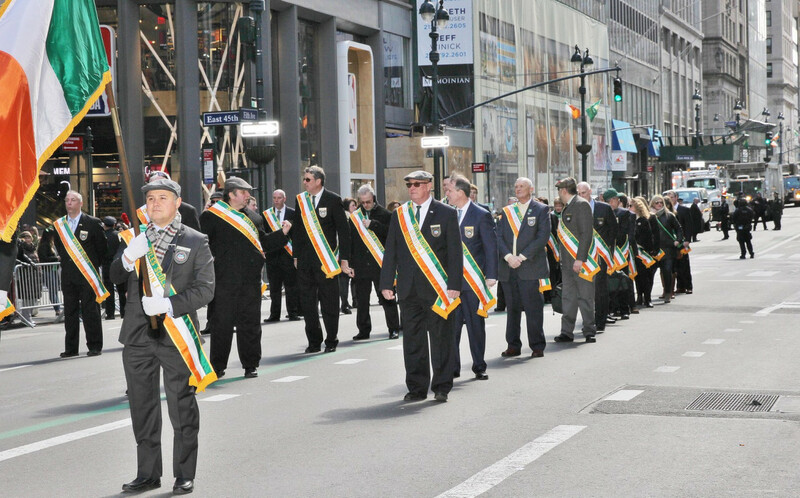 Our Irish parade sashes are 100% made in America! 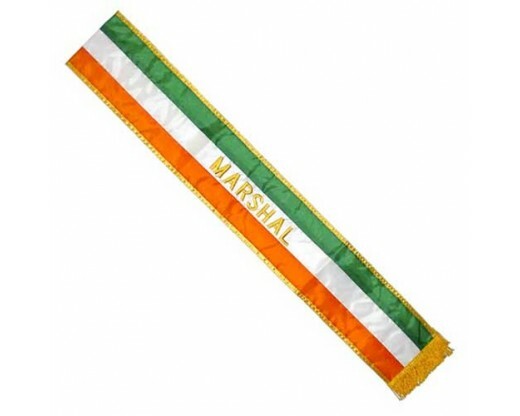 Our Irish parade sashes are also fully customizable. Add your logo to each sash for only $15 (basic shapes: oval, circle, rectangle etc.) or $25 each for more complex shapes. 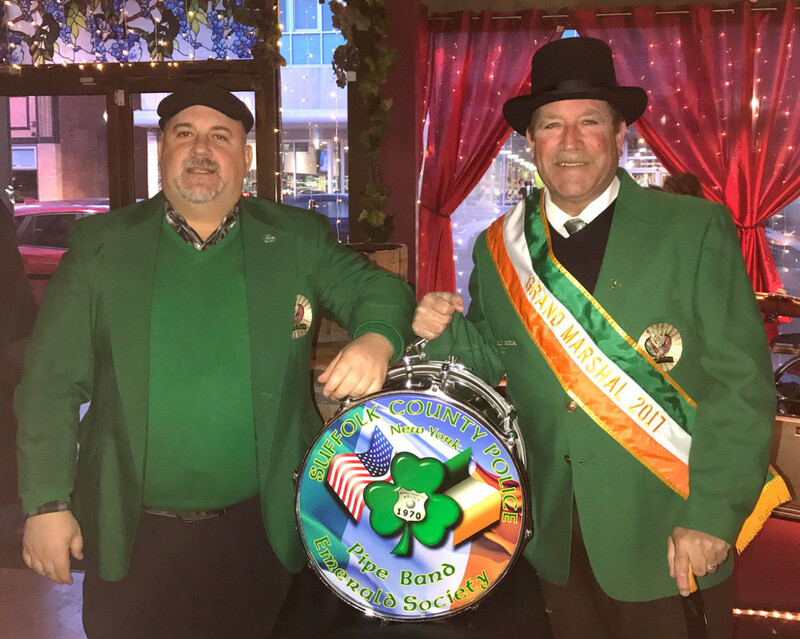 Interested in a different style of parade sash to set your group apart in this year's St. Patrick's Day parade? We can create sashes in solid colors or sewn stripes, with messages embroidered on them to make them truly unique. 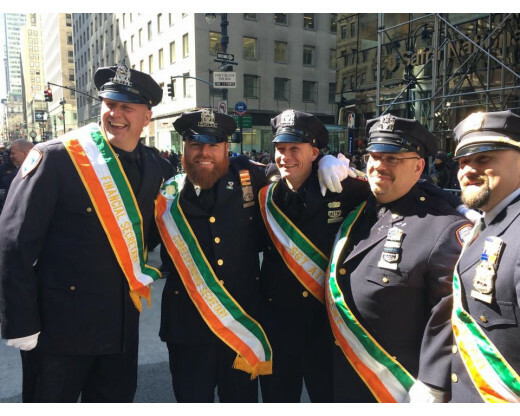 Looking for some ideas for customizing your St. Patrick's Day parade sash? See our full custom sash portfolio here. 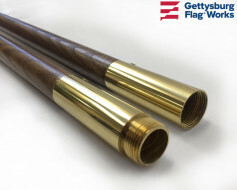 Call 1-888-697-3524 for a custom quote or special quantity pricing, or send us a message online for assistance. Our production team is famous for making that specialty item that you've dreamed up! 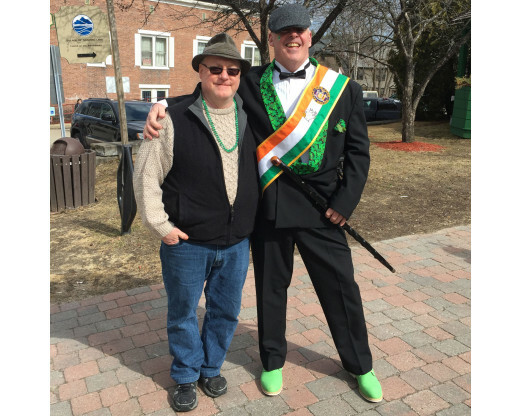 We can't wait to help you stand out at your upcoming parade or event! 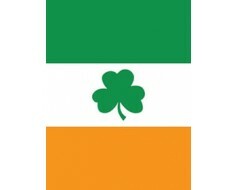 Looking for other Irish themed items to help your group stand out at the parade? 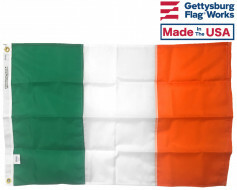 Be sure to check out our collection of Ireland flags! Interested in a parade banner? Check out our collection of beautiful customized parade banners for ideas and order one for your parade group today! 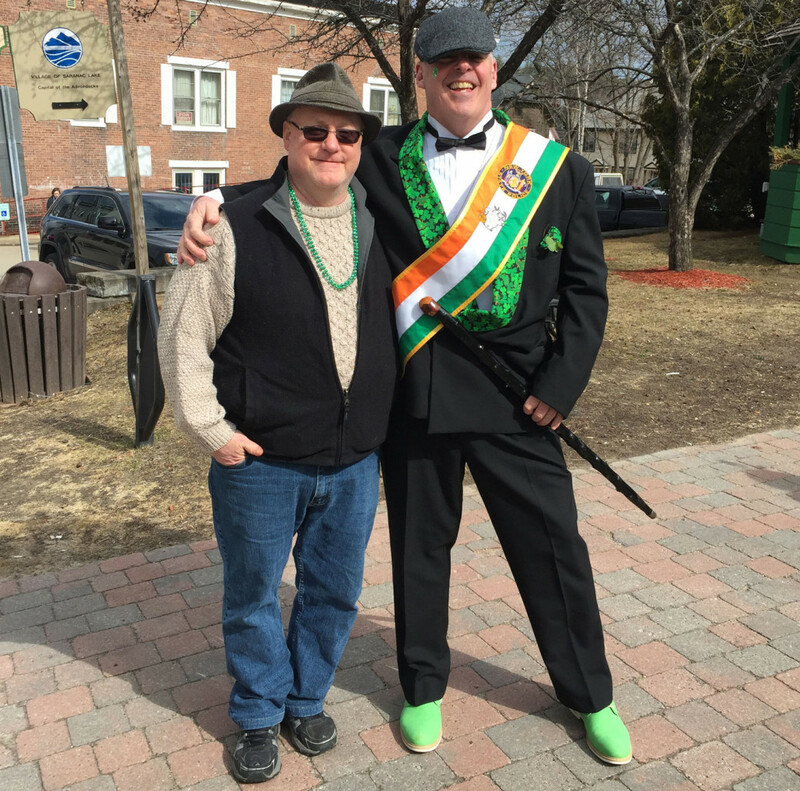 My son and I wore our new Irish sashes in the Manassas St. Patrick's Day parade on March 9th. Very well made, but I wish I would have bought the larger one for myself. The sashes were quite popular with the members. I will be ordering more. Great sash & great service! Thank you for your quick service in sending me the great sash. Much appreciated! The quality is great. I was very surprised at how quickly my order came! Much appreciated! This is our 4th year of using your company for our sashes . They are extremely good quality , as always thank you! 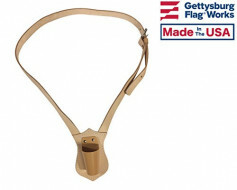 This sash this made with quality materials, clearly well made, and way better than the others I saw online! Plus, the shipping was amazingly fast! You make one of my jobs very easy. I have received the sash and it is beautiful. Thank you and the rest of the staff. You make one of my jobs very easy. I got them yesterday and they look great. Everyone loved them at the meeting. Thank you once again for all your help and I look forward to working with you again soon! 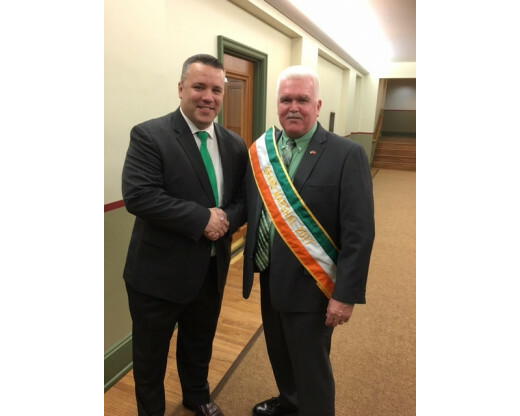 FYI: the sash is stunning! I'll be stylin' on the 17th for sure!